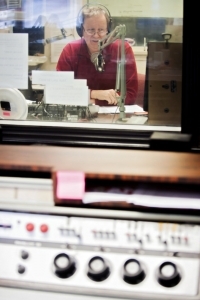 Al Arbogast is the News Director at Talk 104 / 93 WKCT and co-host of the The Morning Show. Al was born in Atlanta but grew up in Kentucky, attending elementary schools in Paducah, Louisville, Lexington and Erlanger. High school years were spent at St. Henry in Erlanger before attending college at the University of Kentucky. After graduation, he completed a year-long apprenticeship at Actors Theater of Louisville. His first job in radio was a part time position at WCND-AM in Shelbyville, followed by four years at WSTL-AM. 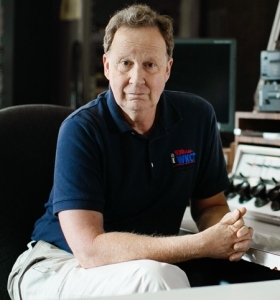 His career at WKCT began in 1979 as a Sunday morning announcer before becoming a full-time announcer the following year. In 1981, he moved to the news department and became News Director in August of that year. From that point on, he has been the morning news person and has worked with several announcers, including a more than 20-year stint with the late Darrell Duvall. Over the last 30+ years, he has had the opportunity to meet a lot of great people, cover many stories and, in some cases, have a front row seat to history being made. Memorable events include visits by Presidents Ronald Reagan and Bill Clinton; Presidential candidates George H.W. Bush, Michael Dukakis, George W. Bush, Elizabeth Dole and Hillary Clinton. He has been married to Lillie since 1980 and they have been long-time members of St Joseph Catholic Church. They have two adults sons: John, a lawyer in Chicago and Army Sergeant Kevin, a member of the Army Band in Germany. The latest addition to the family is two-and-a-half-year-old Jack, who lives with his parents in Chicago.